Trigger points, a type of muscle stiffness, are the result of tiny contraction knots that develop in muscle and tissue when an area of the body is injured or overworked. Trigger points are something traditional doctors ignore, but they could be the one thing that has been overlooked in your case for years, if not decades. A hallmark of trigger points is something called “referred” pain. This means that trigger points typically send their pain to some other place in the body, which is why conventional treatments for pain so often fail. Many health care practitioners wrongly assume that the problem is located where the pain is and therefore fail to assess the body correctly to find the cause of your pain. I’m going to give you some valuable information about trigger points that I hope will encourage you to consider the possibility that trigger points may be the missing link in your quest for relief. Your body’s instinctive reaction to a harmful “event” is to protect itself. It does that by altering the way you move, sit, or stand, which puts abnormal stress on your muscles, tendons, ligaments, and joints. This produces strength and flexibility imbalances in your muscles, as well as postural dysfunctions throughout your body. If that were not bad enough, your blood flow can become restricted and when that happens both your peripheral and central nervous systems will start to send out those “referred” pain signals, making assessment and treatment even trickier. That’s why some experts believe that trigger points are the beginning stage of fibromyalgia. Can things get even worse? Keep reading. To better illustrate the process, here’s an example of how one trigger point in one muscle can cause back pain, sciatica, or a herniated disc. The most common place for a trigger point is in the muscle of the lower back called the quadratus lumborum (QL), which is located just above your hips. Regardless of what kind of event sparks the trigger point, your QL will gradually become dysfunctional – that is, the QL will tighten and shorten. And as you limit its use, it will weaken. As the QL becomes increasingly dysfunctional, it will alter the position of the pelvis. As the pelvis becomes dysfunctional, it will force the spine into an abnormal curvature that will put abnormal pressure on the disc. Over time, the disc will begin to bulge. This situation will get progressively worse, affecting your overall quality of life. Depression often follows. All of this from a single event that occurred in one moment in time. How do you know if you have trigger points? Everyone has trigger points; the question is degree. If you have lingering pain, tightness, or restriction of certain movements, it is a good bet that you are experiencing the effects of a trigger point. Trigger points may produce symptoms as diverse as dizziness, earaches, sinusitis, nausea, heartburn, false heart pain, heart arrhythmia, genital pain, and numbness in the hands and feet. Trigger points can bring on headaches, neck and jaw pain, low back pain, sciatica, tennis elbow, and carpal tunnel syndrome – you name it. They are the source of joint pain in the shoulder, wrist, hip, knee, and ankle that is often mistaken for arthritis, tendonitis, bursitis, or ligament injury. 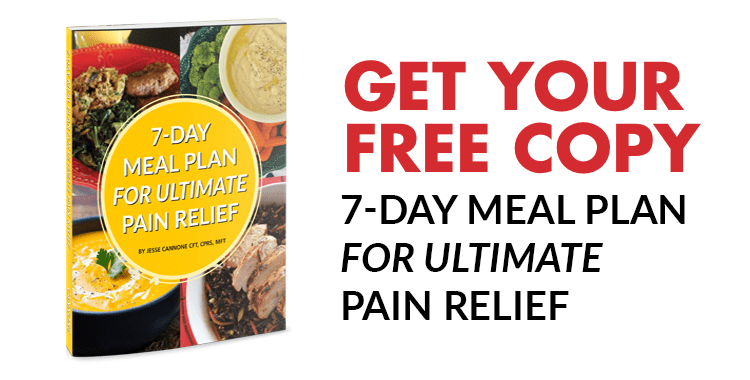 If you think this is overkill, I suggest you read the book “Why We Hurt: A Complete Physical & Spiritual Guide to Healing Your Chronic Pain,” by Dr. Greg Fors, in which he explains precisely why so many different conditions are rooted in trigger points. Here are a few more symptoms you should know about: If you have restless leg syndrome, you have TPs; if your teeth hurt, you have TPs; if your workouts have plateaued, you have TPs; if you have painful menses or irritable bowel syndrome, you have TPs. Simply rubbing the surface of the skin with a massage lotion, a vibrating massager – or using heat – will not change the tissue of a single trigger point. What it needs is sufficient deep sustained pressure to the “knotted-up area.” As you work the Trigger Point, your body will undergo soft tissue release, allowing for increased blood flow, a reduction in muscle spasm, and the break-up of scar tissue. It will also help remove any build-up of toxic metabolic waste. Your body will also undergo a neurological release, reducing the pain signals to the brain and resetting your neuromuscular system to restore its proper function. In other words, everything will again work the way it should. Even if you are lucky enough to find a clinician who can properly assess your condition – let alone treat trigger points – it can be time-consuming and costly to pay someone to completely release all the primary, latent, and myofascial trigger points you may have in your body. You can try going to a massage therapist, but trigger points are very fickle; they need to be addressed daily using a technique that will apply the pinpoint pressure that is needed. Most likely it will be impractical to see a massage therapist frequently enough to get a trigger point to release. The basic idea is simple. First of all, a trigger point is only about the size of a mustard seed, which is one of the tiniest of all seeds. The idea is to put sustained pressure on the area for a set period of time on a regular basis. There are a number of techniques out there that you can employ to do this. The bottom line is that you need to take the initiative. “There is no substitute for learning to control your own musculoskeletal pain,” says Dr. Simons. “Treating myofascial trigger points yourself addresses the source of that kind of common pain and is not just a way of temporarily relieving it.” In other words, you can fix your own trigger points better than anyone else – once and for all. Dr. Simons has it exactly right: You must educate yourself about your condition and then apply what you’ve learned. This runs counter to today’s conventional wisdom, which says that whenever we have a health issue, we should find someone to take care of the problem for us. What I’m saying here is that you need to take responsibility for managing your own care. From time to time, of course, you may find you need help from medical professionals. But even so, the more you know, the better care you’re going to receive. This is naturally going to require some time and effort on your part, but the payoff will be faster with far better results.